We know that missing someone you love can make the holidays tough. Many people who are dealing with loss are caught in a dilemma between the need to grieve and the pressure to get into the spirit of the season. Holidays or not, it is important for people who feel grief to find ways to take care of themselves. Here are ten tips for dealing with loss during the holidays. Plan how and where you spend your time during the holidays. Scale back on activities if you want to. 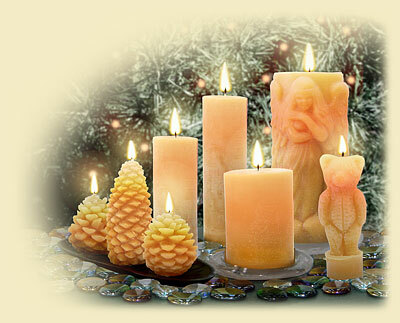 Select a candle in your loved one’s favorite color and scent. Place it in a special area of your home and light it at a significant time throughout the holidays, signifying the light of the love that lives on in your heart. Give yourself permission to express your feelings. If you feel an urge to cry, let the tears flow. Tears are healing. Write an “un-sent letter” to your loved one expressing what you honestly feel toward him or her in that moment. After you compose the letter, you may decide to place it in a book, album or drawer in your home, leave it at a memorial site, throw it away, or even burn it and let the ashes symbolically rise. When you are especially missing your loved one, call family members or dear friends and share your feelings. If they knew him or her, consider asking them to share some memories of times they shared with your loved one. If you live within driving distance of the cemetery, decorate the memorial site with a holiday theme. Play music that is comforting and meaningful to you. Take a few moments to close your eyes and feel the music within the center of your being. Give money you would have spent for gifts for your absent loved one to a charity in your loved one’s name. Read a book or article on grief. Some suggestions are: Don’t Take My Grief Away From Me by Doug Manning; The Comfort Book For Those Who Mourn compiled by Anna Trimiew; and A grief Observed by C.S. Lewis. Remember that the anticipation of holidays without your loved one is often harder than the actual holidays themselves.